My approach to cleaning products has always been pretty minimalist: vinegar, lemon juice and baking soda cover a lot of ground. I stay far away from bleach and any product containing the stuff. 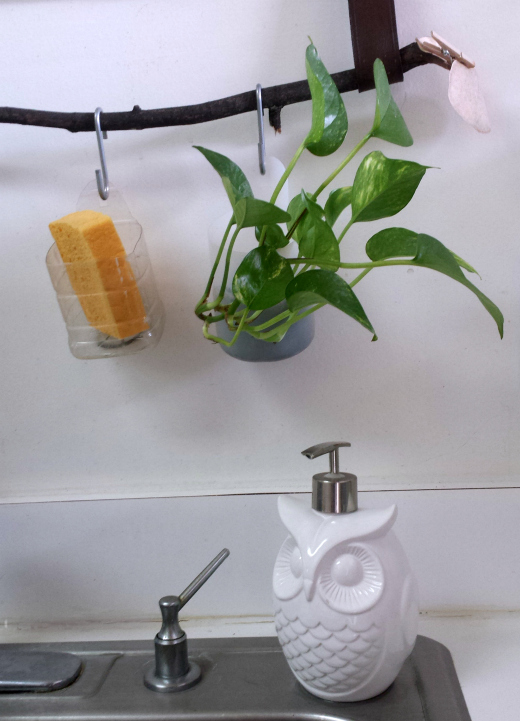 Still, I continue to buy dish soap and toilet cleaner - primarily method products. But with my 2016 goals in mind, I bought my first bottle of castile soap about a month ago. And I got to open it this weekend when I used up the last of my dish soap. People who love Dr Bronner's really love it. Really. And considering what's written all over the bottle (have you ever read all that stuff? ), the zealous enthusiasm is a bit off putting. But, apparently it works. And it's hard to fault something that's so concentrated, that's made from organic, ethically sourced ingredients... and that everyone swears by. To make my dish soap, I ignored the many "recipes" I found online and just followed the instructions on the bottle: mix 1 part soap to 10 parts water. For me this meant using 2 fluid ounces of the soap. The quantity I made will last a long time. And that was it really. 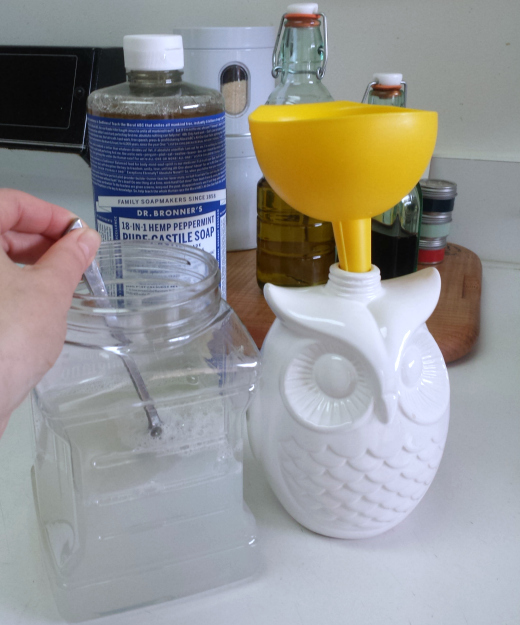 I funneled the solution into my old owl soap dispenser and tested it on a pile of dirty dishes. It worked the way I'd want dish soap to work. And I used the little that would fit into the soap dispenser to clean the bath tub and sink. They're shinier than they've been in a while. So. Ok. I guess I'm a new convert! 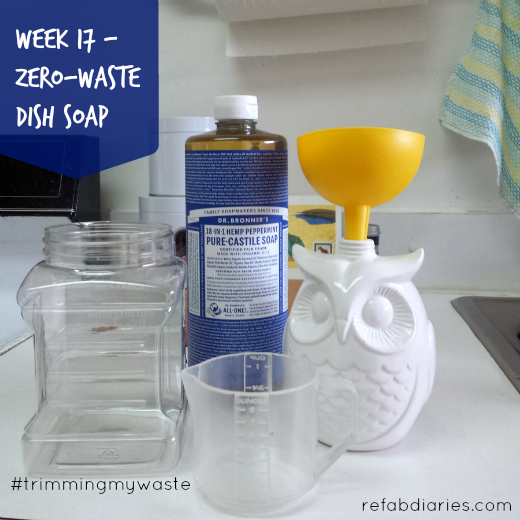 Do you love castile soap? And tips, tricks or advice?